Disney fairy tales are among the entertainment company's most-beloved stories. Drawing on the power of classic stories of enchantment, such as Cinderella and Sleeping Beauty, the films create magical worlds with unforgettable characters. However, what is the origin of all of these happily-ever-afters? Alice in Wonderland takes the title character to a fanciful world first created by Lewis Carroll in Alice's Adventures in Wonderland (1865) and Through the Looking-Glass, and What Alice Found There (1871). Beauty and the Beast is an 18th century French fairy tale. It shows the importance of not judging others by appearances when the lovely and kind Belle falls in love with the hideous Beast - really a cursed prince. Cinderella is mistreated by her stepsisters and forced to work like a common household servant. However, she turns the tables after some magical intervention allows her to attend the prince's ball. Although variations on this idea appear as far back as ancient Greece, Charles Perrault published a familiar Cinderella story in the 1600s. The Little Mermaid was written by Hans Christian Andersen in 1837, and became a Disney movie more than 150 years later. A mermaid falls in love with a prince and makes a deal with the Sea Witch, trading her voice for legs, to try to win his heart. A major difference of note between the Disney film and the original story is that the mermaid does not get her prince and instead sacrifices herself rather than kill him, becoming a mermaid again. Peter Pan, a boy who never wants to grow up, takes the Darling children on a magical trip to Never Land. The character first gained notice in J.M. Barrie's 1904 play Peter Pan, or The Boy Who Wouldn't Grow Up and its novel adaptation Peter and Wendy. Pinocchio is the story of a wooden puppet who dreams of becoming a real boy. The character originally appeared in the 19th century book The Adventures of Pinocchio by Carlo Collodi. Sleeping Beauty falls into an enchanted sleep when she pricks her finger on a spindle, and only the kiss of a prince can save her. The story first appeared in Charles Perrault's 1697 Tales of Mother Goose. 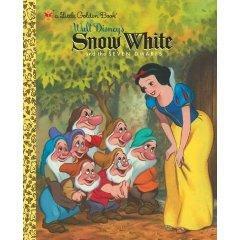 Snow White and the Seven Dwarves was Disney's first animated feature. However, this groundbreaking movie actually drew on a much more traditional source, one of the original Brothers Grimm fairy tales. Disney often made many changes in adapting a story. See how the Disney fairy tale of Snow White and the Seven Dwarves compares to the original story. Snow White is a beautiful young princess with a jealous stepmother. The vain queen constantly consults her magic mirror to see who is the fairest in the land. When the mirror one day replies that Snow White is the fairest, the queen refuses to stand for it. She hires a huntsman to kill the girl. However, he doesn't have the heart to do it, and tells her to escape. Fleeing through the woods, Snow White comes across the home of seven mining dwarves. 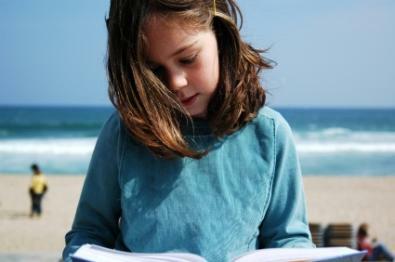 She becomes an important part of their lives, brightening their days and looking after them. The queen once again consults her magic mirror and is enraged to learn that Snow White is still alive. She disguises herself as an old woman to present Snow White with a poisoned apple. After taking a bite, Snow White falls to the ground dead. The heartbroken dwarves enclose Snow White in a glass coffin. A prince visits the coffin and is so struck by her beauty that he kisses her. The kiss breaks the spell of the poisoned apple and Snow White rides off with the prince as the dwarves celebrate her new life. Although Snow White does seek shelter with a house full of dwarves, they lack the distinct personalities of their film counterparts. In some versions of the tale, the queen actually tries to kill Snow White twice before her successful attempt with a poisoned apple. In some stories, the prince's kiss does not bring Snow White back to life. Instead, the prince comes across the glass coffin and is so entranced by Snow White's beauty that he wishes to keep her with him always. The prince's servants jostle the coffin while carrying it away. The motion removes the poisoned apple from Snow White's throat and she awakens. The couple still gets their "happily ever after", but it's a bit less romantic. The next time you enjoy one of the Disney fairy tales, take a moment to read the original story for a fun comparison.